Senior Kyra Kleihauer releases one of the red balloons at the balloon release on March 14. Each red balloon had a name of a victim from the Parkland, Florida shooting. There have been eight school shootings in the United States so far in the year 2018. Since all of the shootings, students have felt a lot of different emotions. “It’s really sad that we have to think about that happening in our world and I think it’s kind of scary because were at school and you never know what could happen,” senior Ashton Adams said. “It’s sad honestly to think these kids are actually dead and that some students make joke about it, but the reality is it can happen anytime anywhere,” freshman Joe Montez said. Senior Cody Wilson said he thinks it’s crazy that there has been so many this year already. According to Education Week’s school shootings tracker webpage, “School Shootings This Year: How Many and Where,” there have been nine school shootings in total, all of which have included injuries or death. Education Week also provides a map on there site that shows where each one has taken place. School shootings have taken place in Los Angeles, California, Italy, Texas, Benton, Kentucky, Oxon Hill, Maryland, Philadelphia, Pennsylvania, Parkland, Florida, Birmingham, Alabama, Seaside, California and Great Mills, Maryland. The largest one so far involving injuries and deaths, was the shooting in Parkland. It included 32 victims; 17 of which were killed and 15 left injured. As a result of these shootings, schools nationwide are increasing their security detail in order to better protect students. Many precautions have already been set in place at Warsaw High. 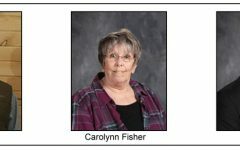 “We practice evacuation drills, we train our staff and we try and track down any online or gossip threats we hear about,” principal Randy Luebbert said. While most students interviewed said they feel safe at school, they also realized that such an incident could happen anywhere. Many students cited having a school resource officer on campus (added just this school year) as giving them a stronger sense of security. The high school has also restricted high school students to one single point of entry, making it easier to monitor students as they arrive and leave the school, according to resource officer David Fajen. Some students believe that more could be done amongst the student body themselves. 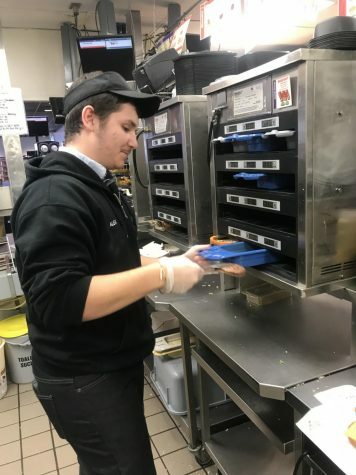 “It all starts with us just talking to each other and making sure everybody’s alright and okay whenever their at school and not at school,” senior Cody Wilson said. “To prevent school shootings, Warsaw should share positivity and try to make everyone feel like they fit in,” sophomore Autumn Bauer said. Some students actually believe that the school hosts a reasonable amount of physical security measures, and that Warsaw, specifically, shouldn’t require more because of its small size. On the other hand, Luebbert believes there are still more precautions the high school needs to take, such as replacing a lot of doors and windows and securing a few places that are security concerns. 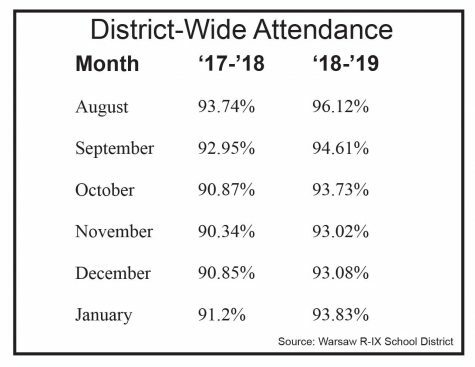 Most students know that a school shooting can happen anywhere, but they feel safe enough that they don’t believe it will happen at Warsaw. 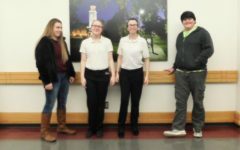 “I don’t necessarily feel less safe because we have a resource officer and like people are watching us and making sure were okay, but that doesn’t mean something couldn’t happen,” senior Ashton Adams said. Popular news outlets and social media profiles push at the fact that that number of shootings should be doubled. The truth, however, is that a reported eighteen school shootings is only an exaggerated number. Some news sites, such as CNN, say there has been 17 because some are counting shootings that were like accidents. Famous news outlets such as NBC News and Huffpost have discussed gun control controversies as a result of these 17-18 school shootings. However, their definition of a school shooting is very flexible. In fact, some cases don’t even involve students or injury of any kind. “I think that a school shooting is when a kid that was or is bullied, murders kids at a school,” freshman P.J. Landsberg said. Investors Business Daily wrote an article over this dilemma called “No, There Haven’t Been 18 School Shootings This Year- Not Even Close.” In it, they discussed an incident at Greyson College when a student discharged a weapon in a criminal justice center during class. Despite the class having been supervised by a police officer, it was still formally labeled as a school shooting by Everytown for Gun Safety. Another incident occurred on Jan. 3, when a 31-year-old man parked outside of a Michigan elementary school called the local police to inform them he was armed and suicidal. Several hours later, he killed himself. Despite the tragedy, one vital fact is missing from this story. The Michigan school had been closed for seven months. There were no teachers or students on campus. News outlets appear to pick on what information to present. 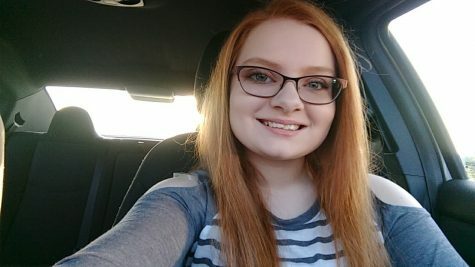 As a result, Warsaw High school students have differing accounts on national school shootings. For example, sophomore Maddy Schockmann has heard about 18 shootings but sophomore Autumn Bauer has only heard of three. Since all the recent shootings, students’ opinions on gun control has become more discussed. “My opinion on gun control is that we need to take threats seriously and we need to make sure the government does their job and enforce the laws,” Landsberg said. Since all the opinions of gun control have come out, many students across the United States decided to do walkouts against gun violence. 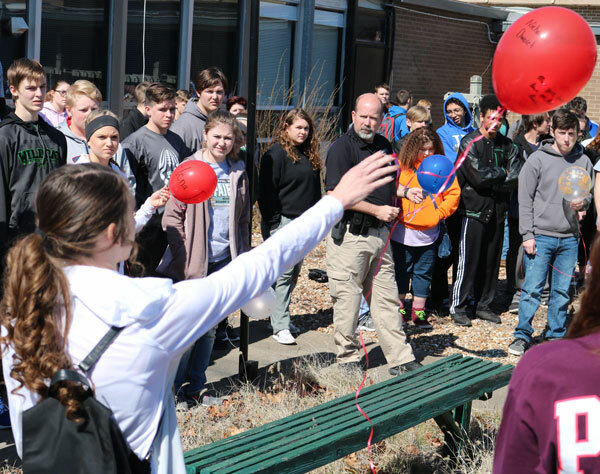 Warsaw students held a balloon release for the victims of school shootings and the officers that had lost their lives in the line of duty. Most of the walk-outs took place on March 14, one month after the shooting in Parkland, Florida. On that day during academic lab, students filled the courtyard for six minutes of silence and released 17 red balloons with each victim’s name from the Parkland shooting, a white balloon for all the school shootings that have happened and a blue balloon with the two names of the Clinton officers who died in the line of duty. Most all students, faculty and staff can say they hope that a tragic event such as a school shooting will never happen at Warsaw. “I pray that it never happens, but certainly we want to be prepared in the event that it does,” Fajen said.